Winter-Spring 2019: Dani wrote an episode of the podcast Girl Tales about a non-binary Peter Pan, which is set to record at the end of April. Winter-Spring 2019: Dani’s new play for Urban Stages Outreach about Nikola Tesla and Robert Moses, What You Leave, is in rehearsals! Ongoing: Dani is taking an on-camera class with Andrew Stewart-Jones. 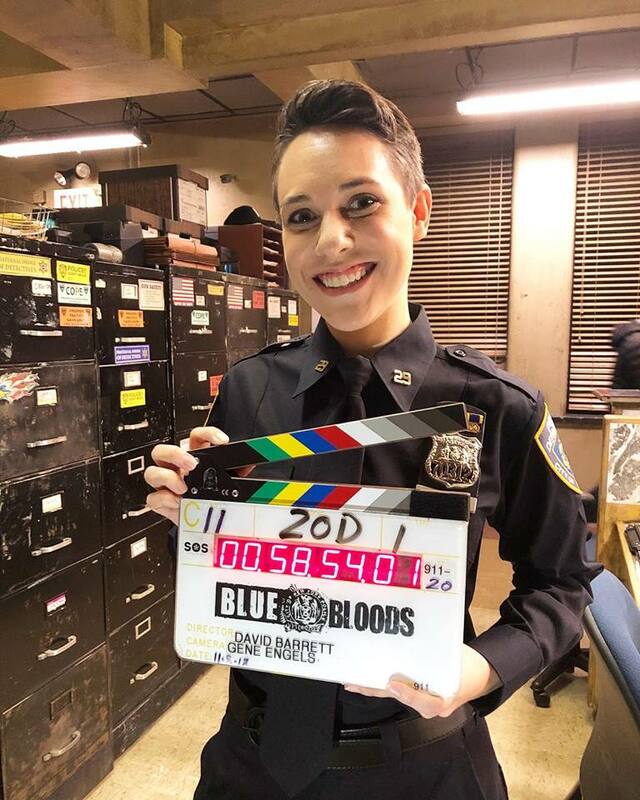 March 2019: Came back to Blue Bloods to shoot another episode in Season 9: Dani’s first recurring role! March 2019: Workshopped a new work in progress (Peril, us) with Eli Nixon and Rebecca Martinez for The New Georges Jam. March 2019: Workshopped a new play in progress at The Lark with A.A. Brenner and Rani O’Brien. March 2019: Did two readings of J. Stephen Brantley’s Shruti Gupta Can Totally Deal in New Jersey, directed by Ari Laura Kreith. Early 2019: Narrated two audiobooks for Penguin Random House: We’re Not From Here by Geoff Rodkey and Paul Takes the Form of a Mortal Girl by Andrea Lawlor (pre-order). Thanks to Eddie Rabon at Take 3, Dan Patack & Sekka Scher at Ellipsis, and the lovely Blue Bloods team! Photo by episode writer Dan Truly.